I was thinking this morning about how my life has changed since I started doing Project Life style scrapbooking way back in May of 2011. Up until that point, I'd been a more traditional scrapbooker. I had done a Creative Memories album during my early 20's, which was fun, but I always found I ran out of layout ideas and got bored with them. I did a simple scrapbook for my wedding (it was a fancy album with blank pages that you just stick pictures onto, so I matted them and put them on the pages, no real embellishments). I also did a honeymoon scrapbook and a pregnancy scrapbook, and I'd started Austin's baby book this way. After two months of Austin's book, I stopped working on it. I got tired of trying to make the pages look acceptable to me. They were boring. The format was dull. I am no Ali Edwards, who designs the most amazing and unique traditional pages I've ever seen. I struggled for ways to make my pages look creative, and I never got there. My friend Lindsay introduced me to Project Life and I never looked back. I picked up a few page protectors to start my own album. My first complete layout was lovely and finished in no time and I was so happy with it. Certainly my layout photos have improved since then. 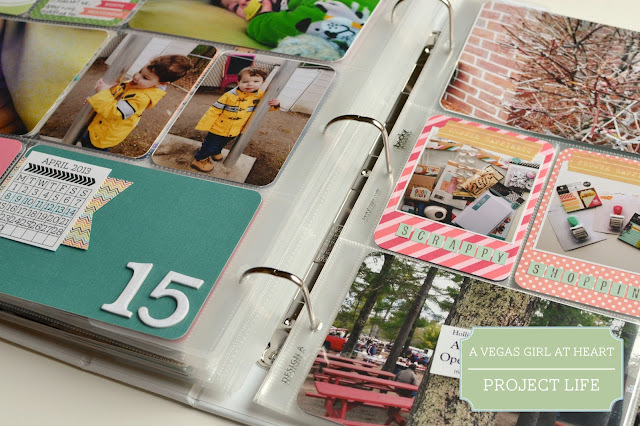 Project Life changed the way I scrapbook, sure. But it also changed the way I think about our days, and the way I take photos. I used to snap photos here or there, mostly at events and few with my camera phone. Once I started Project Life (and admittedly, having a kid did this to me too) I started whipping out that camera at dinners or to capture a beautiful flower I noticed. In the grand scheme, are these little details, such as where we went on date night, important? To many, no. But what really makes recording these seemingly minor details such a big thing for me is times like this morning. This morning I had a thought that I've had a few times in the past. What did we do (meaning, Brad & I) before I had Austin? What were our days like? Where did we go on date nights and what did we do together? I can barely remember. Sure, I remember vacations we took, or occasional specific memories, but not the everyday. I have a box, somewhere, filled with movie stubs and concert tickets. I don't know where that is right now. But I know that everything from the point where I started Project Life is tucked away in my binders. My Project Life albums are a diary, in a sense. When I am sitting here in 10 years and want to remember the things we did with Austin when he was this age, I'll have it all in my book, in my photos and in my journaling. I can guarantee without Project Life I would never have this blizzard documented. I so wish my mom had a project like this when she was raising us. I would love to look back on pictures of our time at our campground and know what things we were doing that particular weekend. (We camped at a seasonal campground in NH called Pine Acres for many summers; our trailer stayed at our site and we trekked up there every weekend). I have memories of the camp, but I wish I could have captured the beach, our screened porch, the miniature golf range and kid's bingo. I know there are photos of camp, but they're few and far between, and they're packed away in my mom's attic. I feel like Project Life is life-changing. Whether you do it weekly, monthly, or event by event. If you haven't started yet and you really wish you had your memories documented, this is the perfect way to do it. You can be as simple or as creative as you want. 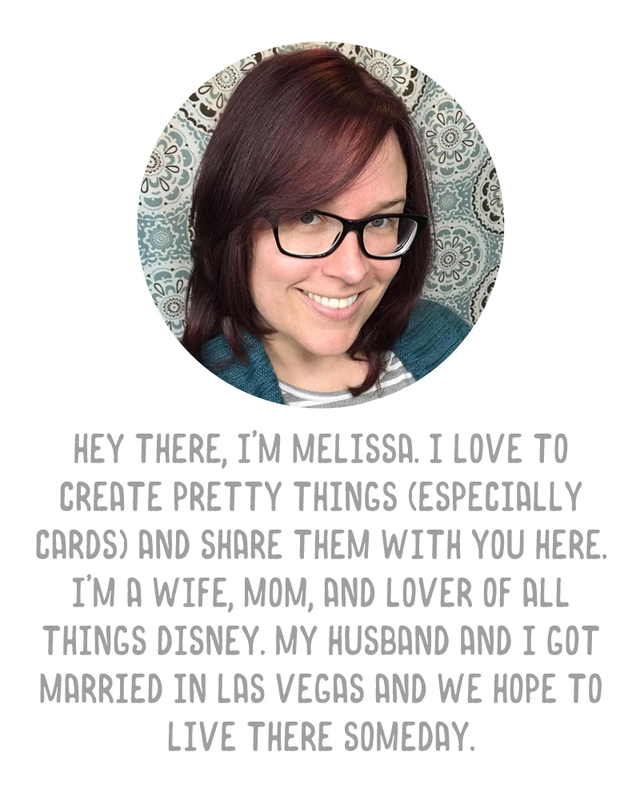 If you want to just slide your photos in and journal on core kit cards, you can. If you want to spend time with each slot and let your creativity flow, you can. (One of my favorite Project Lifers, Michelle Wooderson, does this in her layouts). I (mostly) keep on track with Project Life. I've had times where I've fallen behind and done a couple of weeks or a month at a time, and I've had times where I've done this every Sunday consistently. The big thing is...I have not given up on it. If I've fallen behind, I've caught up. I've wanted to catch up. Unlike Austin's traditional baby album where I just stopped and couldn't get motivated to start again, Project Life gets me excited. It allows me the ability to get these memories documented so I don't forget about them. What a great post - I wonder the same things - what did I do before kids? I know some of it because I was scrapping pre kids, but project life has revolutionized my scrapbooking. I have always taken random photos but now I have a home for them. Also as a working mom with two kiddos who loves to scrapbook - project life still makes that possible for me. Project Life is so awesome! Of course! What'll be so neat is soon, Evangeline will scrap with you! Heck, I bet if you printed photos and gave her some page protectors to slide them in, she'd love to help! I can't wait until Austin is just a little bit older and we can do an album together! I am in California and the shipping is $5.95. Maybe it varies by region. Otherwise I agree with OPs. PL has taken away the immense pressure (created by myself) to produce fresh, creative, "perfect" layouts. My album is still very creative and pretty but it is more about everyday life and not the special events or the one great photo. I love this post!!!! I just started in January but LOVE the bits and pieces of daily, every-day life that makes it's way to my PL album that I wouldn't ever put in my regular album. And I love the link to Michelle, thank you!! I saw that she came to OKC for a class my friends were in last weekend, so she's not far from me! :) I'm not following her blog!! :) Thank you so much!